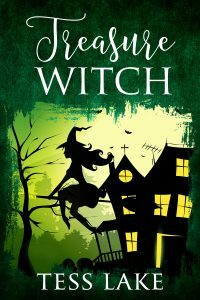 Treasure Witch (Torrent Witches Cozy Mysteries #2) now available! Seeing visions of the past that are all too real and ghosts who are becoming more solid by the day, Harlow is trying to keep her online newspaper running, dealing with her meddling witch family and working out what to do about the very handsome Jack Bishop being back in town. Book #2 of the Torrent Witches series now available at Amazon!